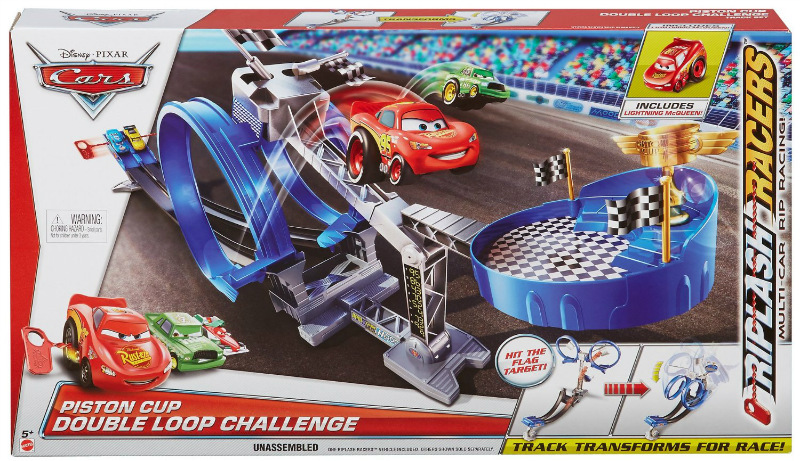 Disney/Pixar Cars Piston Cup Double Loop Challenge NEW! Take your Riplash Racers to the next level with this totally new and speedy cool trackset that transforms before your eyes! With its multicar launcher, you can race your favorite cars through the set head to head just like they do in the movie! The stakes are high and the heats are tough, but with champion spirit and your included Riplash Racers vehicle featuring Lightning McQueen, you can beat the competition! 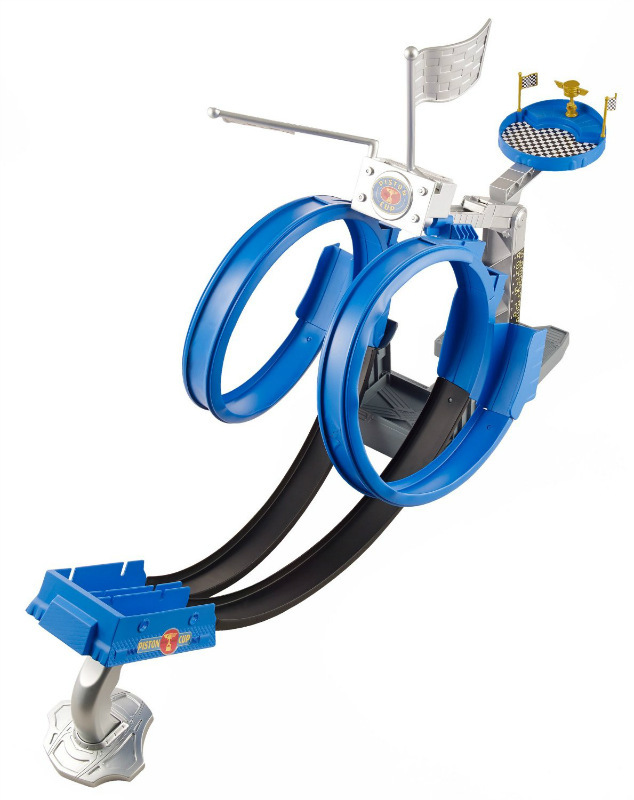 First, launch your car through the rings to hit the targets. If you are successful, it triggers the set to transform! Two rings fall down and you must race your cars through these stunt loops and try to beat your opponent and land in the winner's circle! Ages 4 and older. Features: An exciting Piston Cup inspired race is on for the Winner's Circle. Transforming track set. Impressive stunts and daring loops. Multicar launcher Comes with a Riplash Racers Lightning McQueen.